Well, you learn something new every day. I learned a few days ago that this last week was National Storytelling Week: thank you Twitter. Philip Pullman once said that every teacher ought to be able to tell a story, just to keep the class quiet for the last fifteen minutes on a Friday afternoon. From my perspective, when Pullman is wrong he’s very, very wrong and when he’s right he’s very, very right and by God (ha, ha) he’s right on this one. 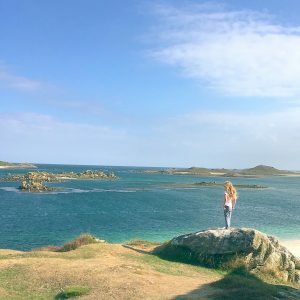 I tell my eldest daughter, aged four, stories a lot, indeed storytelling has become one of the key weapons in the essential arsenal of motherhood: to be deployed in traffic jams, waiting rooms or that grim moment on a walk when you realise that the batteries have gone flat and you’ve still got to walk back home — up a hill. These are the moments when stories are a godsend: the last defence against whining, tears and tantrums, but in fact whenever Eldest and I are alone together, there is likely to be the demand for a story. Almost anything will do: anecdotes about grandparents, bible stories, tidbits from history, myths and then (on the way back from nursery at the end of the day when she is tired) there is a long running serial that we have invented together. I honestly can’t remember the origins of the tales of Peggy The Witch. The dramatis personae consists of Peggy, a rather crabby but good-hearted witch, Sarah, a plucky little girl who was very sickly in the early instalments but whose health — happily — seems to be improving, and a giant walking, talking pumpkin: the not-entirely-intentional result of some of Peggy’s spell-work. Wilfred the wizard recently arrived and I am sure that more characters will emerge over time. I get given a one-line synopsis as we get in the car to go home from nursery and I have until I have reversed and negotiated my way out of a car park full of toddlers to get started or my listener takes on in the way the most blood-curdling editor in the most cut-throat publishing house would envy. Last week I was instructed to send Peggy et al to America (they went on by broom, of course, spending nights on passing ships). On Friday I had the (rare) luxury of early warning; I was told in the morning that Peggy would be going to buy sweets this evening, (I suspect, because the previous day’s expedition to the petrol station with Daddy involved Haribos) and I am remembering the toffee shocks and pop biscuits beloved of the children in Enid Blyton‘ s The Magic Faraway Tree and the fudgemallows and fizzwizards of Roald Dahl. I’m not claiming that this little effort of Eldest and I has the remotest claim to excellence or originality of any sort but it has reminded me and taught me so much about the process of storytelling. Peggy owes a lot to the early incarnation of Terry Pratchett’s witch Granny Weatherwax, the pumpkin comes from a fragment of a cartoon I once saw about a giant pumpkin going rogue, which frightened me and which has been hanging around uselessly in my head for over three decades and Sarah has her roots in many little girls I have known: prone to asking exactly the questions that you hope that the won’t and to deflating the balloon of adult conceit with the hatpin of innocent observation. No wonder the old stories start with ‘once upon a time’ it buys the teller valuable breathing space to scrabble around in your head and assemble the blocks of your story. Because what telling stories needs more than anything else is not ‘creativity’ (an amorphous concept of which I am deeply suspicious) but information, not facts, facts, facts exactly but stuff, all those old stories and bits of useless information: like what the capital of Bermuda is (when the demand came to send Peggy to America, I was racking my brain to remember islands in the Atlantic where they might stop off, and how high waves actually get in storms). This ‘stuff’ will often get you out of trouble. (What kind of sweets did old-fashioned sweet shops sell? Thank you Roald Dahl and the Victorian model village at Flambards theme park in Cornwall). The more blocks of information you have available to place with, the more fantastic, complicated and daft, your stories can be. The line between the storyteller and the crashing bore is, of course perilously thin and you may have visions of my poor daughter attempting frantically to get out of her car seat, open the door of the moving car and hit the ground in a rolling dive. Certainly I have toyed with similar escape plans when trapped in a vehicle with a would-be storyteller, ‘have you heard my one about …’. There was one person I feigned sleep with in the car so many times, they must have thought I was narcoleptic. The difference between a storyteller and a bore (I think) is that the storyteller listens. The bore speaks only to entertain himself and usually succeeds. The storyteller must measure the engagement of their audience minute by minute: what is working? Where is their attention starting to drift? What should be developed and what dropped? The novel, on the other hand, has to stand the test of time and myriad readers (the author hopes) in myriad moods and situations. The story needs to be tailored to one audience at one time; it may have been perfect for the moment in which it was told and that is what matters. I wonder if that is why Homer is supposed to have been blind (yeah, yeah, I know we aren’t allowed to believe in him anymore because we aren’t allowed to believe in ‘Great Men’ anymore). Like the figure of blind justice, the storyteller must have a heightened awareness of what is really going on in the minds of his listeners. The story’s power is made minute to minute but great stories stand the test of time, and how. The Iliad and The Odyssey have been around for thousands of years, mostly in oral form: compared to that, A Tale of Two Cities’s 200 million copies sold look a bit pathetic. The story is vulnerable to a brutal form of evolution: it must be good enough to get retold or it will die, not even a dusty copy in the back of a second-hand bookshop left. But being on the receiving end of a good storyteller’s yarn creates the desire to pass stories on. I know that I tell stories to my daughter because my father told them to me. I seldom remember my father reading aloud but, my God, I remember him telling stories. It started with tales of his exploits in the war. To me they were tales of daring-do: the day Daddy got stuck in a burning aeroplane and then, after a miraculous escape, got arrested as a German because he was in the middle of Gloucestershire in a Fleet Air Arm uniform and the local bobby had just had his station bombed and wasn’t in the mood for discussions about uniform recognition, or, the day he tried to get a man out of a crashed aircraft on an aircraft-carrier deck. ‘The plane waited until everyone was nicely gathered round it and then exploded’. Afterwards he said he felt alright but thought he ought to go to the ship’s hospital and get checked out. As he put his hand on the stair rail, all the skin came off it. Later on my father introduced me to something altogether tamer: the Greek myths. We were in Gibraltar and I, aged seven, found the long drinks period before dinner at 9pm an unpleasant novelty. We were sitting on a veranda, and could just see the coast of Africa. I suspect I was grizzling and my father started to tell me the story of the Pillars of Hercules and how the channel between the Mediterranean and the Atlantic had been created by the mighty Greek hero. I was hooked. We charged through those wonderful stories, from Perseus to Polyphemus and his favourite Greek goddess, Pallas Athene, has become mine. These are my favourite memories of my father. Those stories are his legacy to me and to my children. Stories are about how we make sense of the world. After my mother was buried, I took Eldest down to the churchyard, with the flowers she had chosen. She knew that grandma was ‘dead’, whatever that meant. I was terribly concerned lest she might think that her grandma had been trapped in a box underground: that being dead was, in essence, to be buried alive, so I had to explain about heaven and the soul. I did my best. Her forehead wrinkled with that perplexity which Peggy the Witch has come to dread. Oh how I love it when children wipe the floor with patronising assumptions, like this but, just as importantly, Eldest riffled through the stories in her mind to help her understand the great unknowable and that, at its most profound, is surely what storytelling is all about. *He did get back to wartime flying war but only after months of treatment for burns. Great read Sis. Enjoyed it immensely. Icarus as “the” boy who flew! As much as Peter Pan is a great children’s character, to have the immediate association of a Greek myth rather than a early 20th century children’s story book character is just wonderful.